This " Space Planets and Rockets Clipart " set has 66 images - 33 different images in both color and black & white. 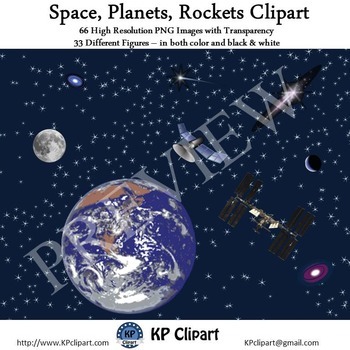 The images are high resolution – 300 dpi - so you can enlarge them and they will still be crisp – great for using in your teaching products or as printables. 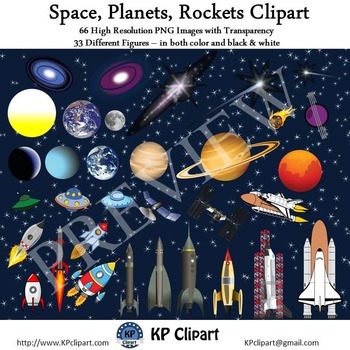 The space clipart includes: sun, planets, cosmic forms, meteor, ufo's satellite, space station, space shuttle, and many different types of rockets. Also included is one space background.